When the new Summit building welcomes its first customers in early 2022, business will grow substantially at the Convention Center, bringing thousands of new visitors to the region. And with the new building comes the need for a state-of-the-art plumbing system, which is where Auburn Mechanical comes in. 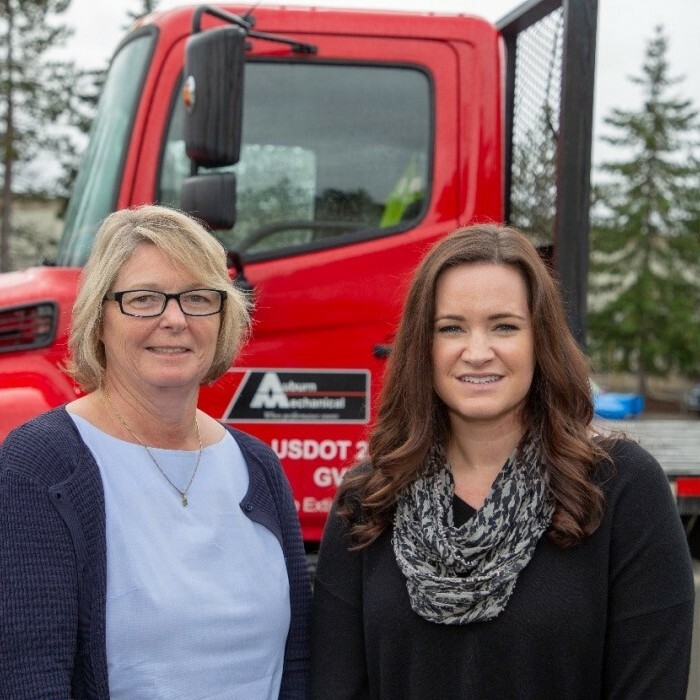 Led by Stacy Johnson, president, and Christine Hadman, project manager, Auburn Mechanical is a woman-owned mechanical contractor specializing in design and installation for HVAC and plumbing systems. The duo is thrilled at the opportunity to be part of the team building the Addition project. Auburn Mechanical will employ a crew of 40 plumbers to perform their scope of work. A process two-years in the making, Stacy and Christine are pleased to be moving from the pre-construction phase into installation. Because of the project’s scale, Auburn Mechanical actually reinvented its fabrications systems in order to ensure smooth delivery of their materials to the site – no small feat with the volume needed for the 1.4 million-square-foot building. “We are excited at the opportunity to work with a first-class team, and we're going to take every opportunity we can to learn from them,” says Stacy.